One of the very common road trips through the Arabian deserts is one that takes you from Riyadh, Saudi-Arabia to Abu-Dhabi and Dubai in the UAE. The road trip through Kharj, Saudi-Arabia is an old road that takes through the sand deserts of Saudi-Arabia to the border of the UAE. The following pictures shows some of what you may see on that trip. Leaving Kharj takes you through these deserts. 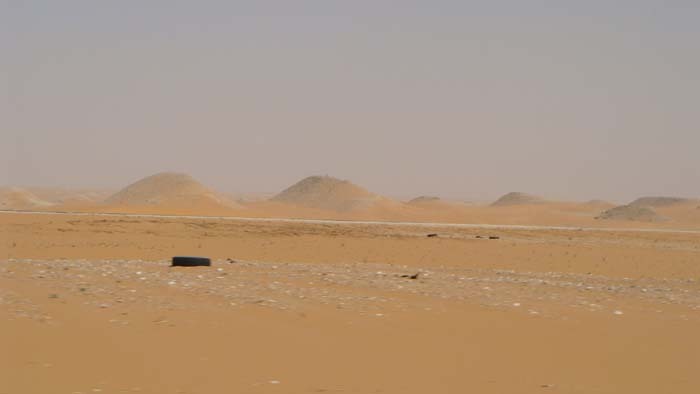 The desert is different from the typical sand dunes that one would expect. This is rock and sand and the landscape is mostly flat. 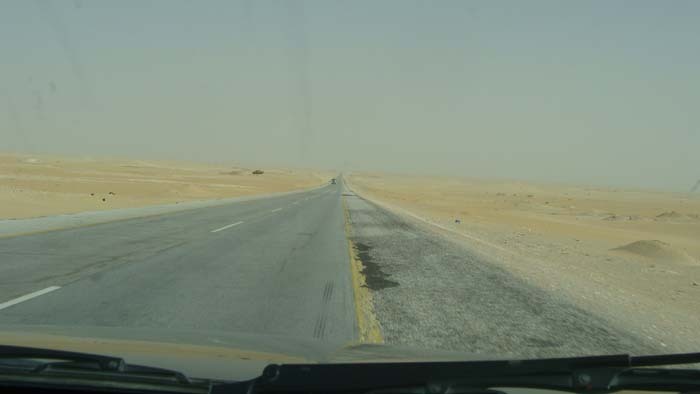 This road from Riyadh through the town of Kharj is the old road but shorter in distance by about 100 kilometers. 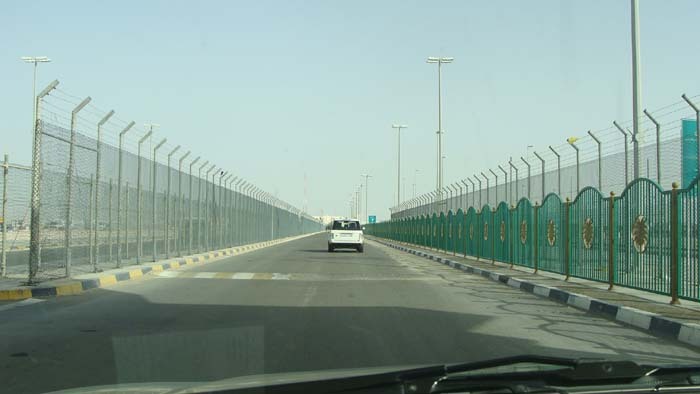 Approaching the town of Batha at the border between Saudi-Arabia and the UAE. 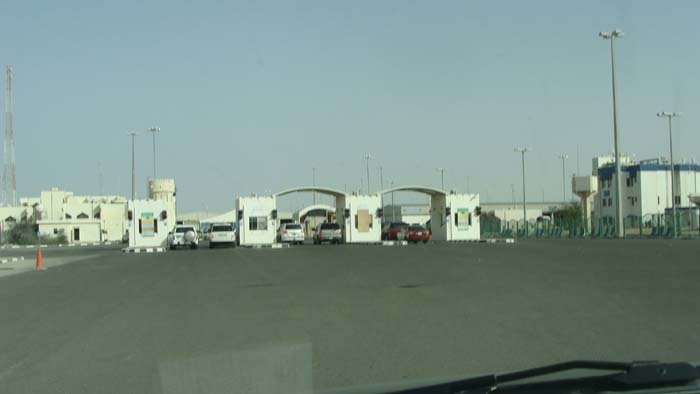 The following picture is the ‘border area’ between Saudi-Arabia and the UAE. 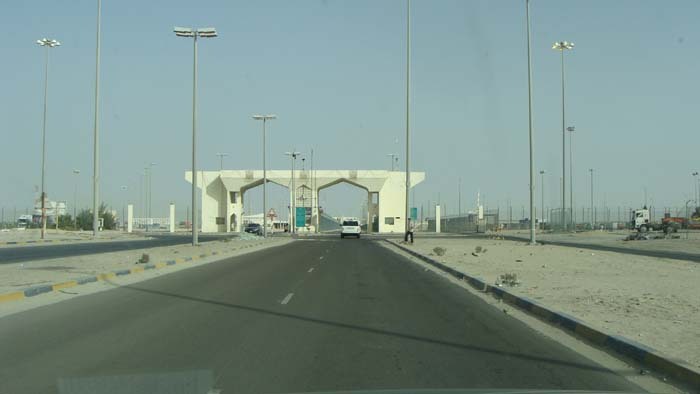 As soon as you cross into UAE, you will be required to buy car insurance from this plaza.